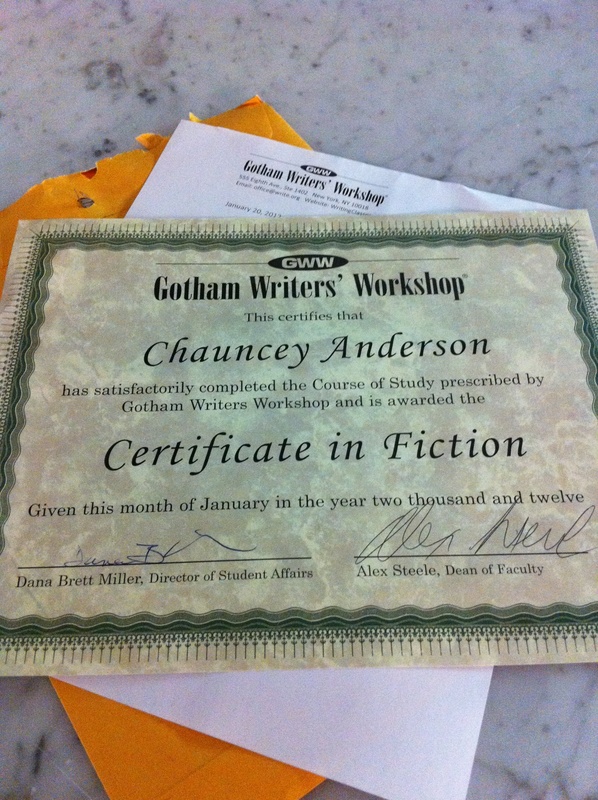 Today I got my Certificate in Fiction from Gotham Writers’ Workshop! It’s because of these classes that I kept on writing which got me to where I am today, so thank you GWW! Congrats!! Keep on writing. I want to read your work one day!